The sleek geometric lines of this Tacori necklace from the Truffle collection are paired with intricate details to make this piece superb. Crafted in sterling silver, round links are combined with diamond-shaped links that have the crescent motif etched into the surface to form this 40" chain. 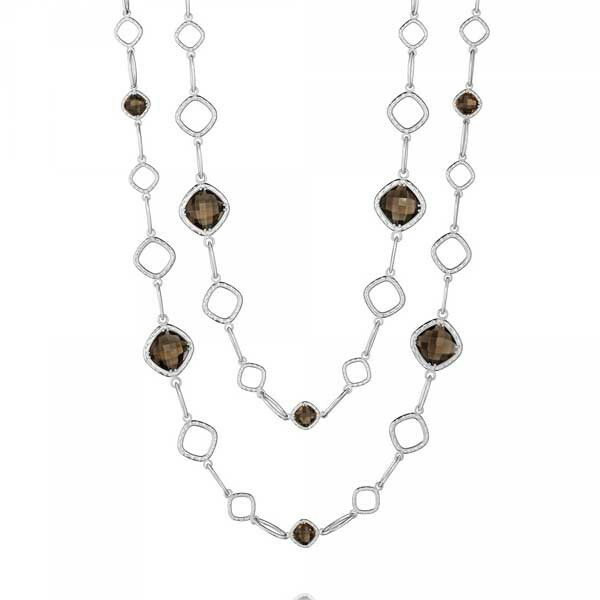 Rich smoky quartz gemstones are placed along the chain at various intervals to add a luxurious touch. It's cosmopolitan flair will catch the attention of any Tacori girl.